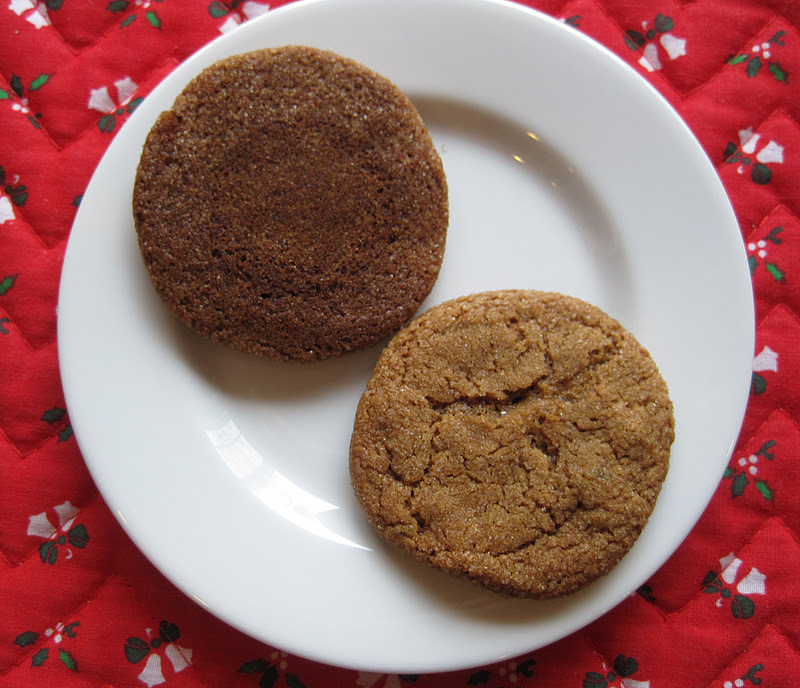 Surprise, surprise - I baked more cookies today! 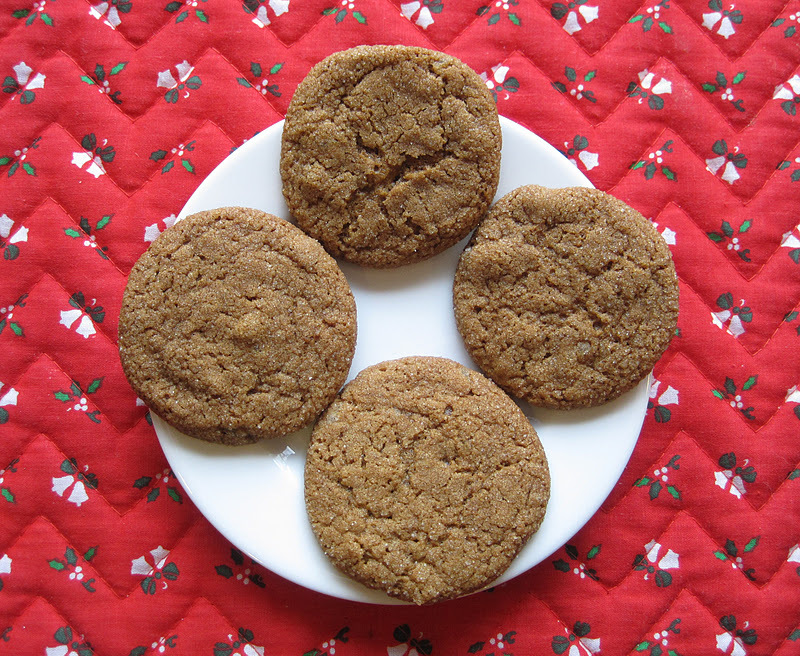 One of our 'more favorite' cookies: Triple Ginger. 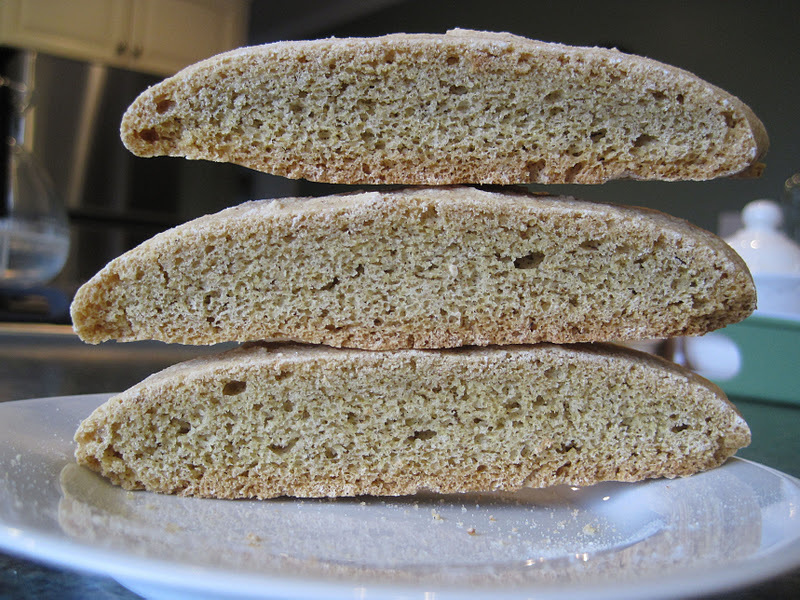 They're as tasty as last year even though it seems like they baked flatter/thinner. 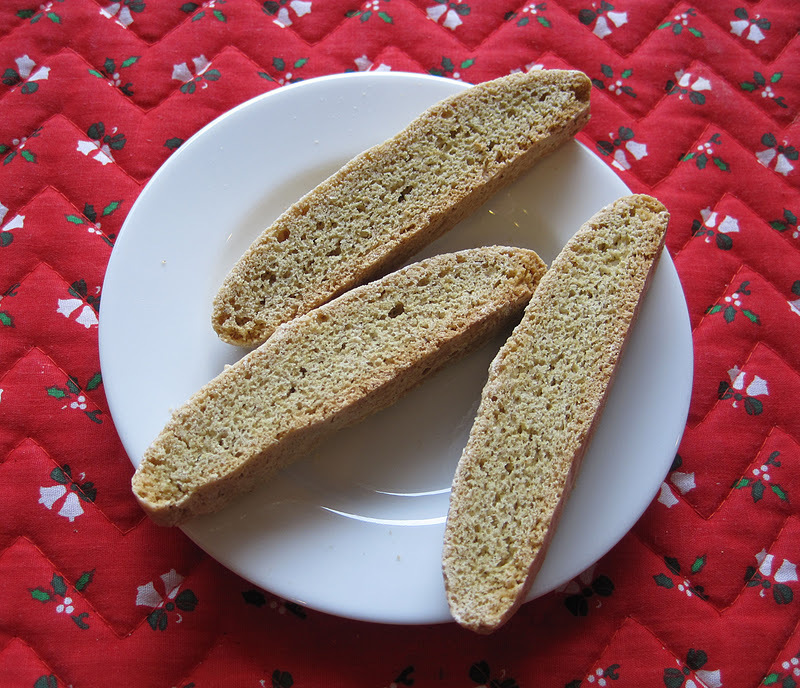 We also made Spice Biscotti, which we made in October and loved. These have many of the same ingredients as Triple Ginger Cookies (ground ginger, ground cloves ground cinnamon) but since there's no butter, no molasses, and no brown sugar, they have a very different taste. I mostly taste cloves. 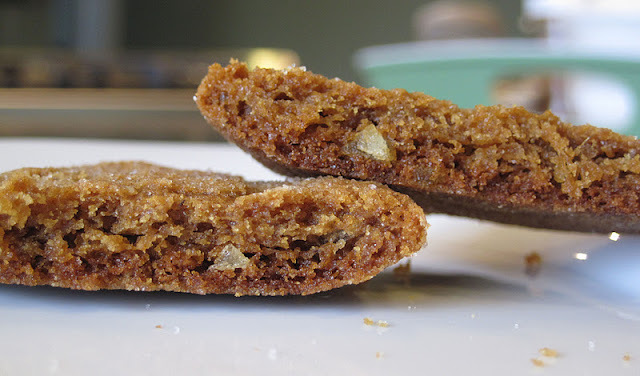 These ended up turning out well, but we were worried for a while because the dough was much, much stickier than last time. SP had a really hard time shaping the logs and had dough sticking to all his fingers and maybe even his shirt. When I tried to help, I ended up with sticky, doughy fingers, too. Mmmm. 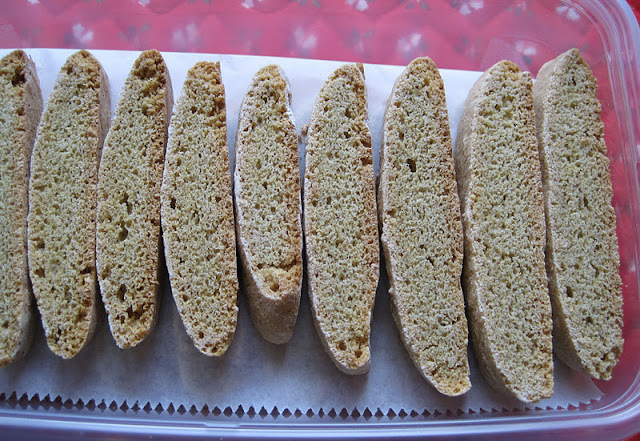 So good when dipped in hot tea. I have made the triple ginger cookies before and one year they came out a bit flat. I checked my baking soda and it was on the older side. After getting a new box, they were puffier! Oh my gosh - I can't believe we didn't think of that! Both our baking soda and baking powder are expiring in the next month, but we thought they'd be OK. That could explain our recent cookie flatness, on more than just the Triple Ginger. Thank you!